Culture is a verb – it’s something that we can do ourselves, grow ourselves, make happen. 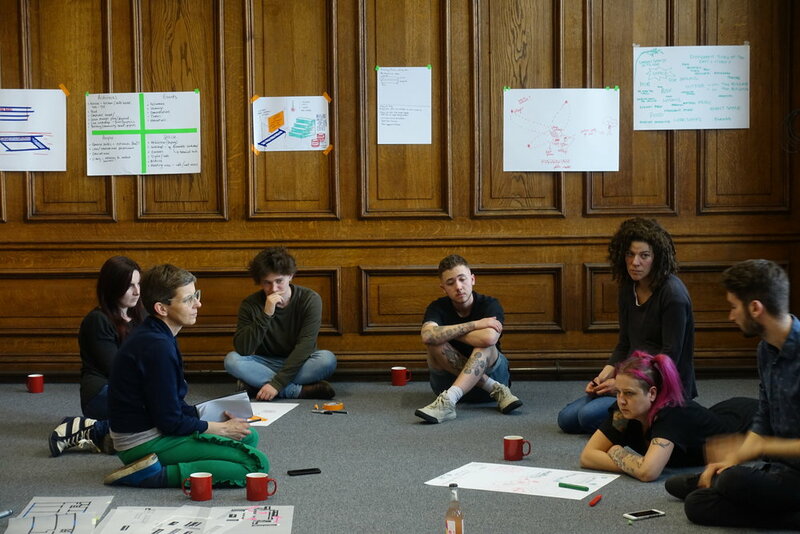 This week-long summer school at Mansions of the Future brings together practitioners from across the country to lead a series of workshops on Doing It Yourself – from self-publishing to self-organising, from taking over buildings to building your own technology. Tutors include utopian regeneration agency Spacemakers, social enterprise architecture practice Studio Polpo, self-publishing collective OOMK and local arts collective General Practice. The school is for artists and creative practitioners at any stage in their career, who are living or working in Lincoln and the surrounding regions (Lincolnshire, Yorkshire and the East Midlands). Individuals working or studying in any discipline, with or without a degree, are invited to apply. Applications can be made as a collective - however the capacity for the summer school is limited to 20 delegates. Participation in the school is free. A limited number of bursaries are available to cover transport and other expenses. DIY Culture Summer School is part of Kathrin Böhm’s Culture is a Verb, the opening commission of Mansions of The Future, where her ideas for commoning, co-working, co-making and co-using will be explored in one place for the first time. The summer school is delivered by Tom James, an artist and writer with a longstanding history of creating DIY projects and publications. If you do not receive an email informing you that your application has been successful unfortunately you have, on this occasion, been unsuccessful. Please complete the additional bursary application form if you are eligible to apply (full details can be found within the form content).